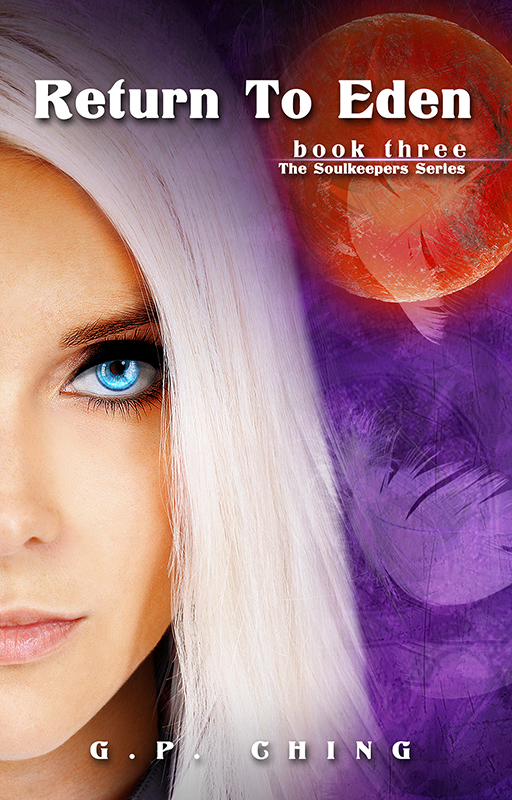 Return to Eden, the third book in G.P. Ching’s The Soulkeepers Series releases (officially) April 1st in eBook and Paperback. To celebrate, G.P. is going on a virtual tour. You’ll see reviews, interviews, and never before seen video guest posts of G.P. answering some of your most pressing questions. Plus, you can enter to win some fabulous giveaways! A $10 customized Visa Debit Card! G.P. will give away ten of these throughout the tour. Use them anywhere Visa is accepted for anything you desire! Or the winner’s choice of eBook from either G.P. Ching or any of the Indelible authors along with some signed Soulkeepers bookmarks. A personalized, signed set of paperbacks (The Soulkeepers, Weaving Destiny, and Return to Eden) will be given away to one lucky winner at the end of the tour. Must be 13 years old or older to enter. International entrants are not eligible for the grand prize. To enter the giveaway, CLICK HERE (open until midnight Friday 4/20). REMEMBER to enter my SHARE A BOOK giveaway as well. Open until midnight Sunday 4/22. I like prizes. Especially when I win. Sounds awesome! Yay, for G.P. I know, right? 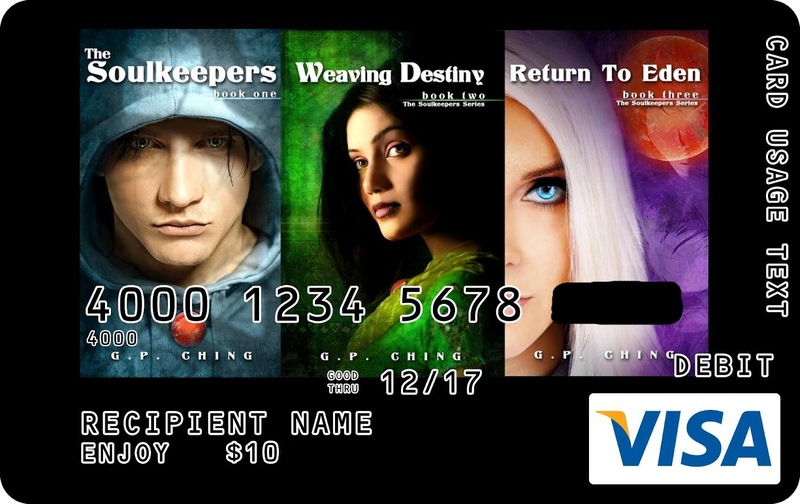 Those custom Visa cards are awesome! I'll have to think about borrowing that idea for the future! Yay for GP. I'm constantly impressed by the talent of The Indelibles. Congratulations on your success, GP!